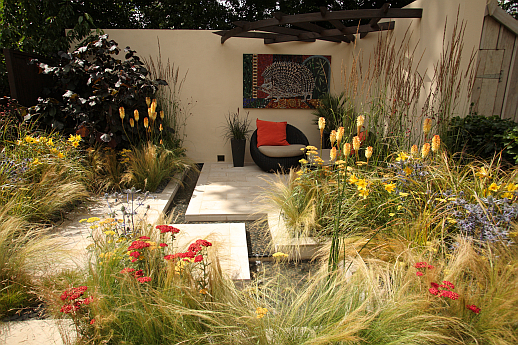 The Hedgehog Street Garden wins Gold! A quick update on The Hampton Court Palace Flower Show and the Hedgehog Street Garden…. it won a Gold Award in the Summer Garden Awards category!!! So, many congratulations to Tracy Foster and her incredible design skills – doesn’t it look stunning. Pop along to the show if you have time, it opened today, 8th July and it’s on until the 13th. Tracy and the team will be on hand to tell you how they created the look – you’ll be able to see our Bubble garden chairs in all their glory and find out how to make your garden more wildlife friendly. We love a good flower show at Go Modern – we’re lucky enough to be just up the road from The Chelsea Flower Show (which we also exhibited at one year) and this year we’re involved with The RHS Hampton Court Palace Flower Show. 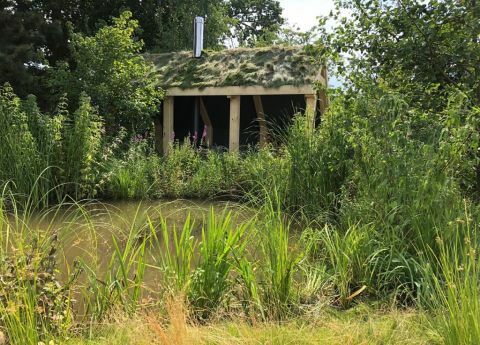 Award-winning garden designer Tracy Foster got in touch to say that she was creating a hedgehog-inspired summer garden for the Peoples’ Trust for Endangered Species (PTES) and The British Hedgehog Preservation Society (BHPS) to show at Hampton. Hedgehog Street is the name of the garden and the idea is to showcase a number of hedgehog-friendly features to encourage gardeners to make the land on their doorsteps more hedgehog friendly. Once we’d stopped Simon from doing a fairly good impression of the ‘Not The Nine O’Clock News’ ‘I Like Truckin’ song (you probably have to be over 30 to know this!) 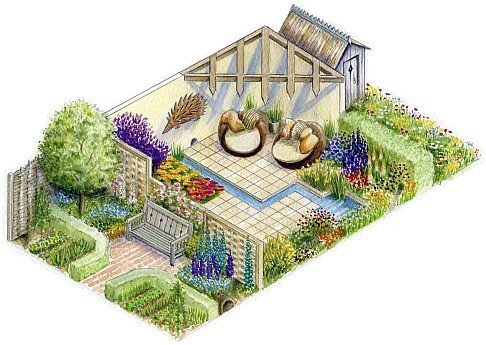 and looked at the garden plan and Tracy’s ideas – we realised it was an incredibly good idea… and a beautiful garden.